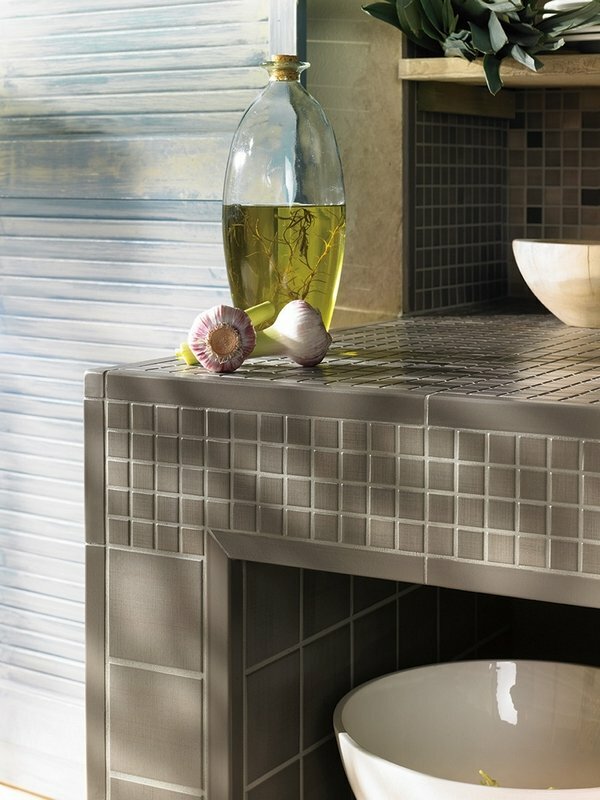 Ceramic tile countertops come as something really fresh and unexpected in the interiors of modern kitchens. 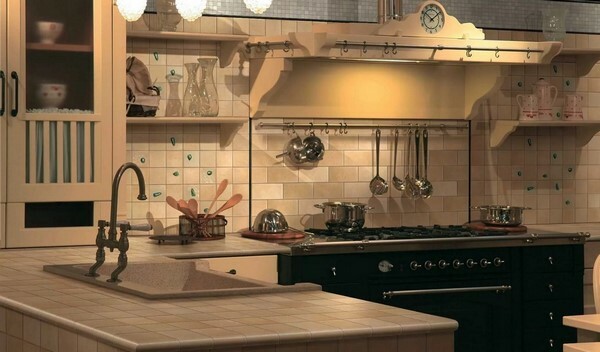 We are so used to looking at natural stone, granite, modern materials like Silestone, Quartz, Corian, etc., that ceramic tiles remain out of the focus. The kitchen is the place where each of us spends at least a few hours a day. 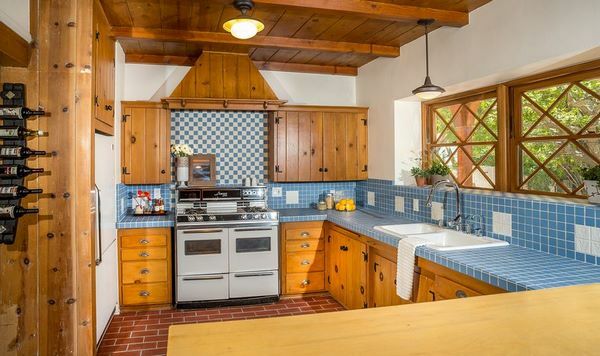 And every good housewife surely dreams of a beautiful and original kitchen design. 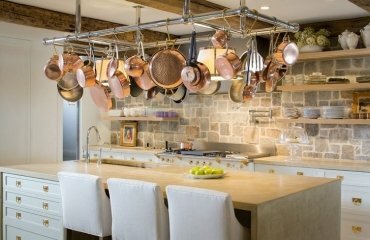 In a modern kitchen there are many details, without which it is impossible to imagine the daily life – a high quality cooker, a comfortable, deep sink and, of course, a good countertop. 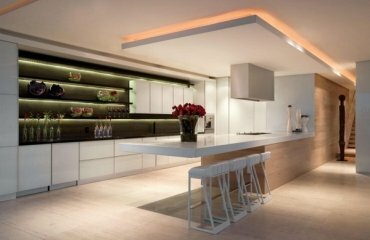 It will be quite unwise to underestimate the role of the countertop as it is the main assistant and multi-functional highlight of every kitchen. 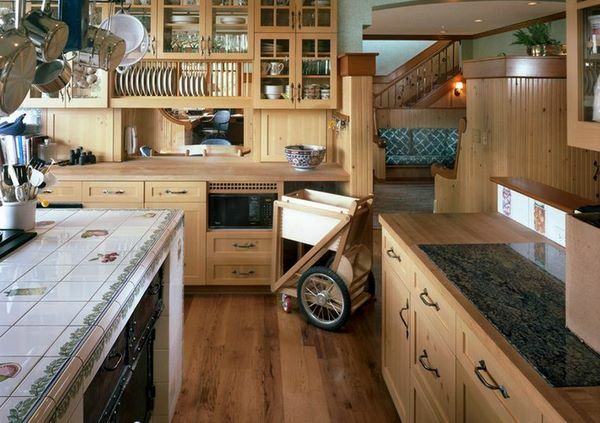 It is the main place used for food preparation and almost every meal starts on the kitchen counter. 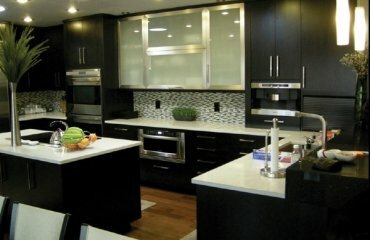 It is true, that modern market offers a huge variety of kitchen countertop options made from various materials. 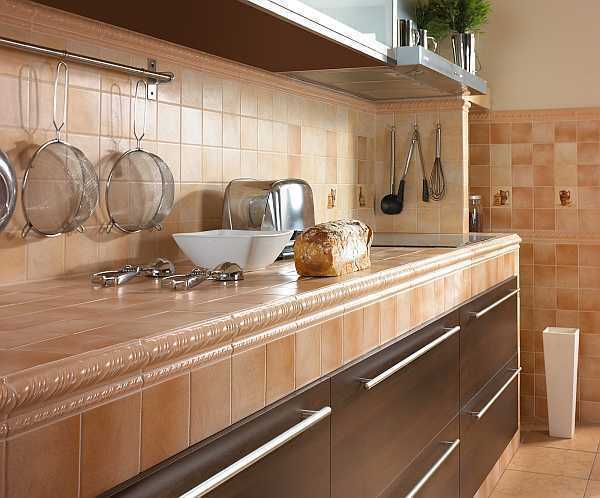 Of all the finishing materials, ceramic tiles are perhaps the oldest and the most familiar. 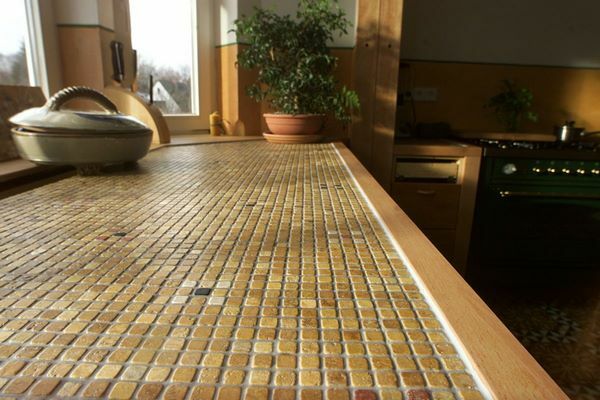 They are the perfect DIY project as well and you will know that your kitchen countertop is reliable, durable and will give the kitchen a sense of freshness and coziness. 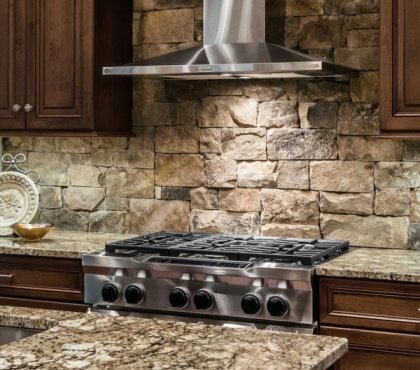 When choosing a ceramic countertop you will soon feel the advantages and the least of all is that you will not have to break the bank for a working surface for the kitchen. 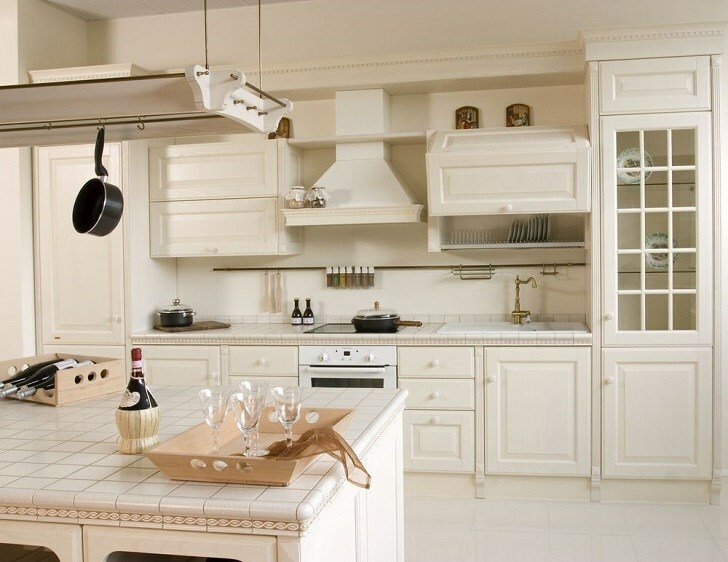 The kitchen countertop is the main place where you prepare food and it is constantly exposed to various kinds of influences – mechanical, chemical, temperature, etc. It is important to choose such material that will withstand endless cleaning, drops of water, fat and other substances. 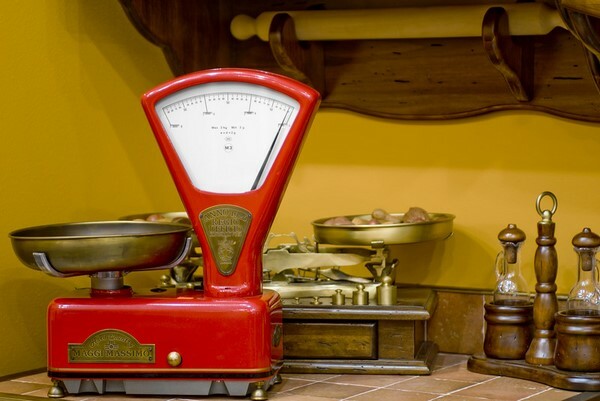 Some housewives prefer to cut food directly on the work surface, without using a cutting board, so the working surface needs to be resistant to scratches as well. 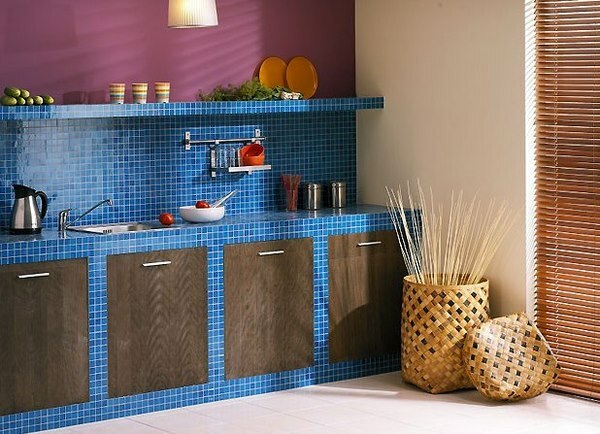 Do not forget that in addition to the functional properties of the working surface it has a decorative purpose and the kitchen interior design looks complete. 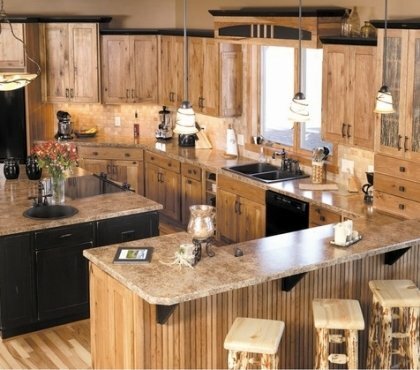 The counter can completely change the style of the interior and the atmosphere in the room. 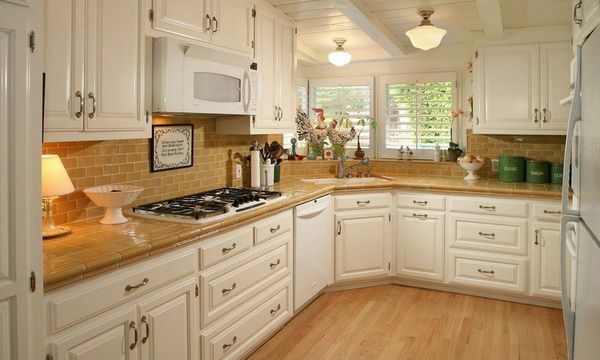 Many owners simply adore their ceramic tile countertops and do not wish to replace them with any other. 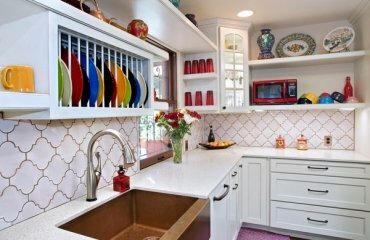 We selected some of the most impressive and beautiful creamic tile kitchen countertops which will inspire you for your own unique dream kitchen! 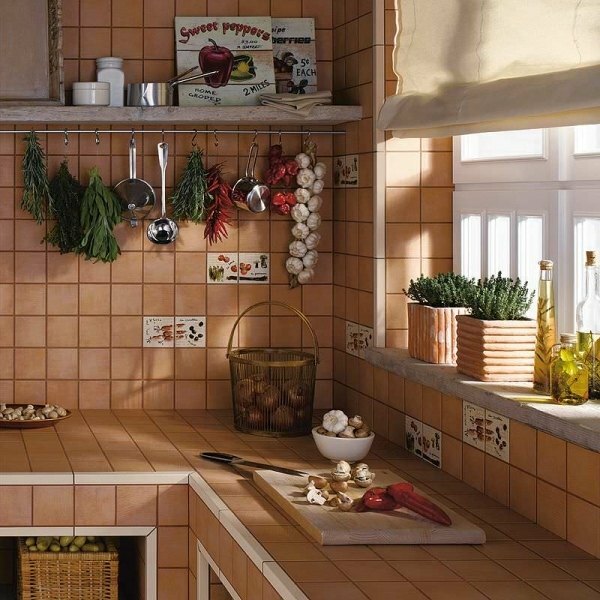 The ceramic tile worktop in the kitchen not only allows you to realize your plans for the organization of the kitchen space, offering the freedom to choose a shade, texture or general concept, but also has a number of unconditional advantages. 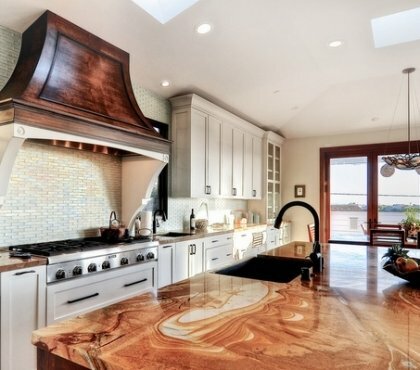 Of course, when buying any material for a kitchen countertop, you should know not only its advantages, but also the disadvantages so we shall have a detailed look at the pros and cons of ceramic tile countertops and the benefits that they have to offer. Easy care and maintenance – there is no need of sealing, or specific cleaning agents. 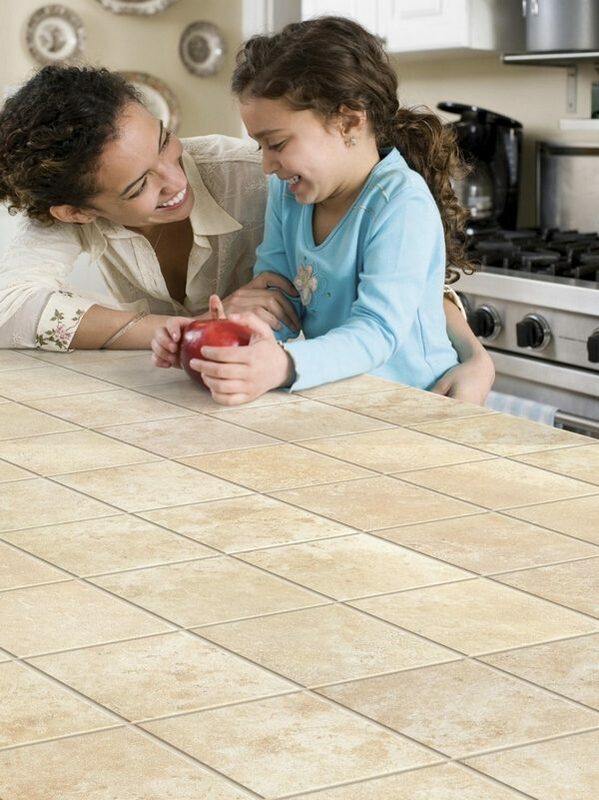 A damaged tile can be replaced with a new one at minimal cost. With time and with improper care, the aesthetic characteristics of the surface are reduced and the countertop loses its beautiful look. 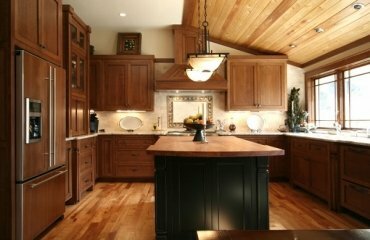 Abrasive materials and aggressive scrubbing ruin a high-gloss finish so these should be avoided. 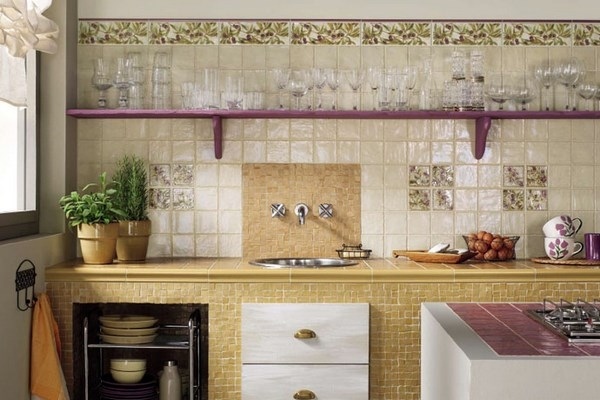 The best about ceramic countertop ideas is that you can choose one color or combine colors and shades. 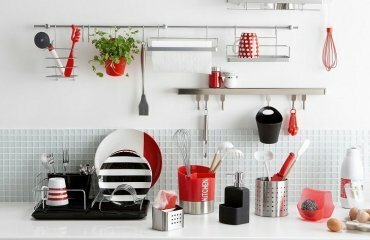 When choosing the design, consider the overall style of the kitchen interior. The design opportunities are endless. 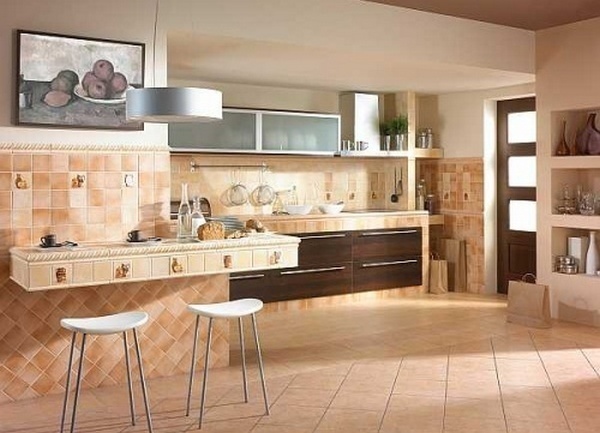 As you know, ceramic tiles come in a variety of shapes, colors and sizes – square, rectangular, circle, hexagonal, big, small, single colored or patterned, even mimicking the appearance and grain of wood. You can match the color of the countertop and backsplash with the kitchen cabinets or choose a contrast color to make the counter stand out. 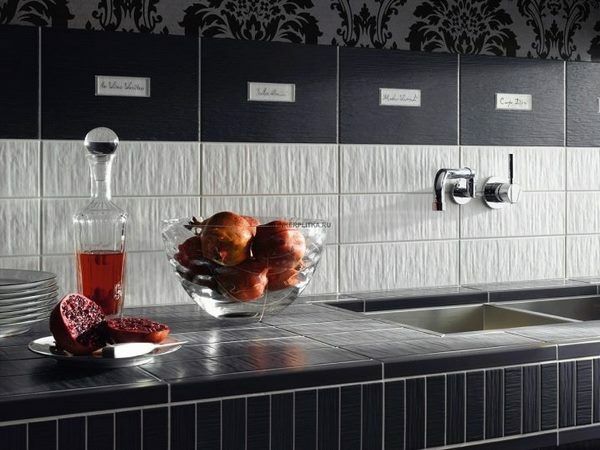 The tiles can be incorporated in different design styles – rustic, Mediterranean, Industrial, traditional or modern – there is no limit to creativity. 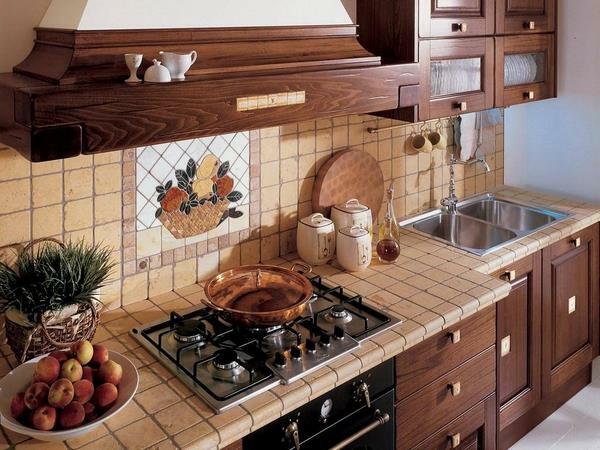 A ceramic countertop easily works with other materials like wood and metal, textiles and you can improvise with the accessories and decorations. 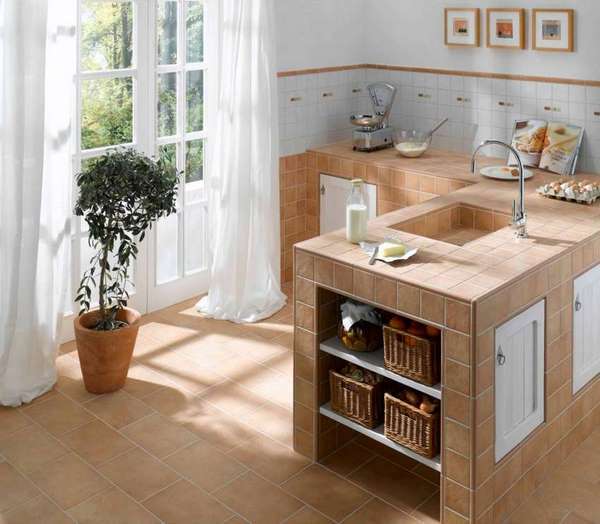 Most homeowners choose glazed ceramics for the many benefits like resistance to dirt and high temperatures, moisture and chemicals. 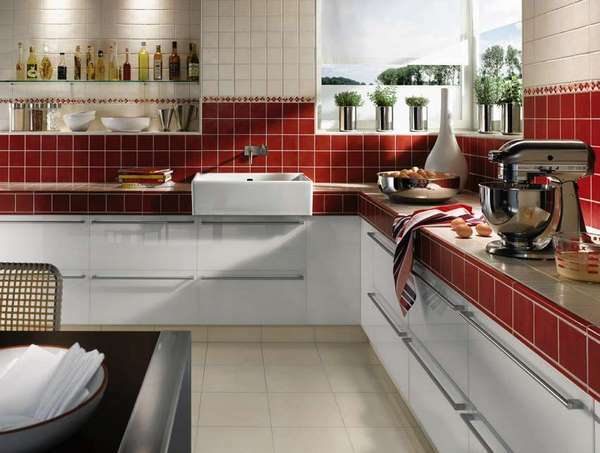 It depends on the style of the kitchen interior and your personal preferences what size of tiles you will choose. Some people prefer small size tiles while others prefer larger size. 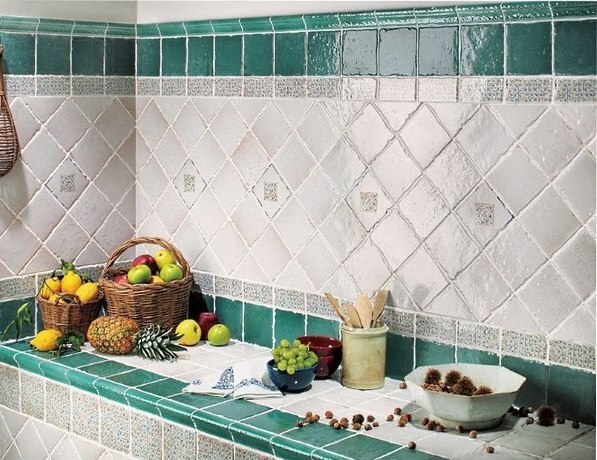 Ceramic mosaic tiles will look very impressive but they are much more expensive. 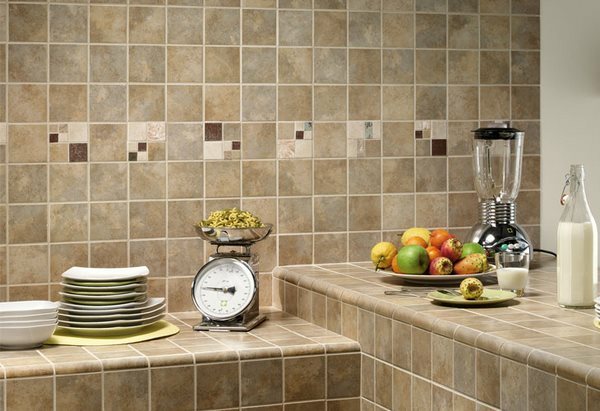 It is common sense to buy about 5% more tiles that you need and have a spare tile for replacement, if needed. 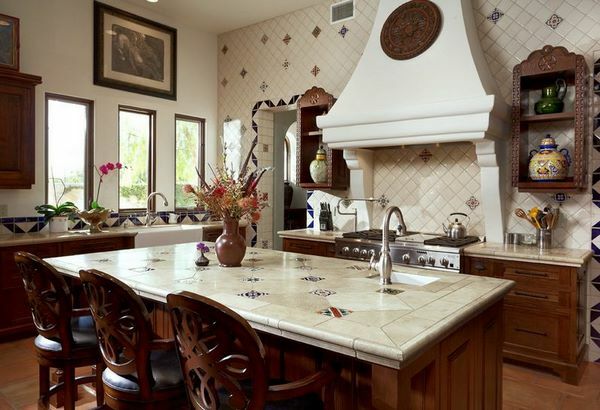 Whichever option you choose, a ceramic tile countertop can be a real asset and a focal point on your kitchen interior.